Immunization is a simple, safe and effective way of protecting children against certain diseases. The serious health risks of these diseases are far greater than the very small risks of immunization. Immunization protects children against harmful infections before they come into contact with them in the community. It uses the body’s natural defense mechanism, the immune system, to build resistance to specific infections. Generally, it takes about two weeks after vaccination for the immune system to respond fully. The Vaccines for Children (VFC) program is a federally funded program that provides all recommended vaccines at no cost for eligible children. Eligible children include those that are uninsured, under-insured (insurance does not cover vaccine), Medicaid eligible, and American Indian or Alaska Native. Eliminating cost as a barrier to immunization helps to ensure that all children and adults are vaccinated according to the Centers for Disease Control and Prevention recommended childhood, adolescent and adult, immunization schedules. Children can also have the flu vaccine each year, which is available in autumn. Children aged 12 to 13 should be vaccinated against human papillomavirus (HPV) through their schools. Most vaccines recommended in the program are given by injection. Some combine several vaccines in one injection. The immunization schedule is available at the Centers for Disease Control and Prevention (CDC). 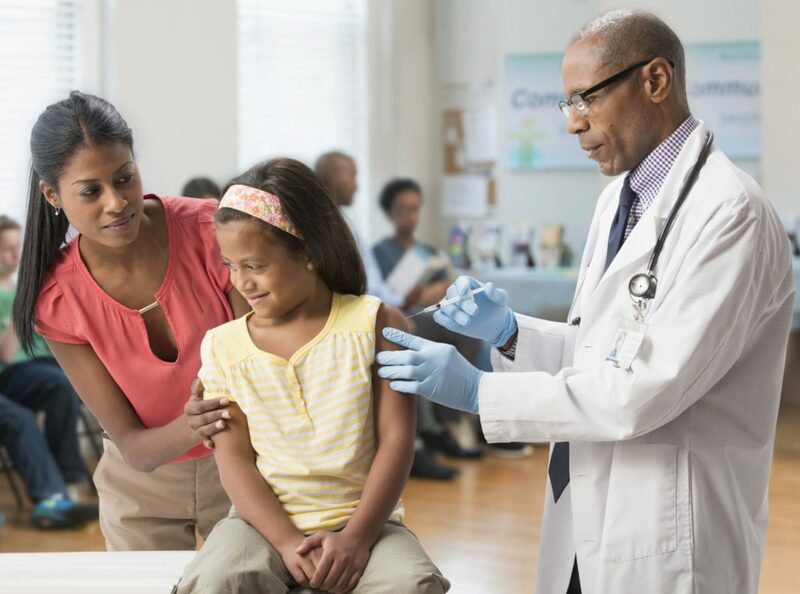 Several immunizations are required in the first few years of a child’s life to protect the child against some of the most serious childhood infectious diseases. The immune system in young children does not work as well as the immune system in older children and adults, because it is still immature. In the first months of life, a baby is protected from most infectious diseases by antibodies from their mother which are transferred to the baby during pregnancy. When these antibodies wear off, the baby is at risk of serious infections and so the first immunizations are given before these antibodies have gone. Another reason children get many immunizations is that new vaccines against serious infections continue to be developed. The number of injections is reduced by the use of combination vaccines, where several vaccines are combined into one injection. Your doctor, immunization clinics, local councils, community child health nurses and some hospitals can provide immunizations. Many children get minor side effects such as redness, soreness, and swelling at the injection site, mild fever, and being irritable or unsettled. If your child has any of these side effects, give them extra fluids to drink, do not overdress them if they feel hot and consider giving them paracetamol to help ease any fever or soreness. Most side effects are short-lasting and the child recovers with no problems. Serious reactions to vaccinations are very rare. However, if they occur, take your child to the doctor immediately.